I'm returning to the subject of white feathers today and their meaning. Since first writing about this I think I've had more emails on the subject than anything else. By white feathers I mean how they can often be found following a loved ones death. This has certainly been my own experience. I lost three people close to me in a short period of time: my daughter, my mother and my best friend of some thirty years. After losing such important people it takes a while to adjust and you tend - or at least I did - to look for something to confirm that the person is still about. For me this came via white feathers. The feathers appeared straight away after the loved ones death and at moments when I was thinking about them. This happened too often to be something that many would class as coincidence. Here are a few experiences from other people. Most don't want their names published but nevertheless they are still meaningful. "I remember one time in a swimming pool, everybody and everything was awash with water and I just looked down and all of a sudden on the edge was just this white fluffy, dry feather and I thought, 'Oh my God!' It's just like Caron popping in to see how the children are getting on." "My Mother passed away recently. I was with her and it's one of the hardest things in my life. After the funeral when my cousin was leaving she said to look out for a white feather. I had never heard of this before. Anyway, today, nearly two weeks since my Mum passed away I looked out the window and everywhere was icy. I went to get in my car and at my feet was a beautiful white feather. I'm hoping this was a sign that my Mum is ok.
God Bless You Sweetheart x"
"I lost my husband very suddenly in December 2010 with no chance to say goodbye. I have been devastated ever since but have seen several white feathers. I like to think it is his way of telling me he is okay. I have put one in the diary I am now keeping. I do believe in angels and that one day I will see my husband again." "My sister passed away very suddenly aged 17, a few years ago. I had never seen a white feather in our house ever before, but they began appearing every single day for the first couple of weeks after she passed away. I wasn't very religious beforehand, but I definitely took it as a sign. When it was time for me to leave my home a few weeks later, to go back to college, I found a gigantic white feather on my bag, and one stuck to the car door! When things were most difficult, white feathers would appear. They then began appearing in my college dorm when I returned, something which never happened before. As time went on, they became less common. Then, about a year later, on the morning of my graduation, a huge feather floated down towards me. I definitely take it as her way of letting us know she is ok."
"Hi, I lost my mum 13th February this year and in the last week I have found five white feathers. I really hope this is a sign." "Thank you for your blog about white feathers, I found them very comforting. My father died unexpectedly last month and my mum and I were devastated. At his funeral there was a beautiful white feather on the church pew where we sat. It was a message from him I'm sure. Mum and I looked at each other and actually smiled at each other through our tears. Mum said, "Dad's saying he's okay." Since then we find white feathers in the most unexpected places. I even found one in a drawer by my bedside. They always make me smile." How white feathers have helped both my wife and myself. A personal experience of finding a feather after looking after my young grandson. How a white feather indicated that our daughter knew about our son's wedding. Sometimes messages come in different forms such as in my post Unusual Contact With Her Dead Mother. In this example they came in the form of strands of wool. And A-Mail Messages From Beyond The Grave tells of messages often included in car registration numbers. There is also my personal story of how my deceased dad's watch stopped at exactly the time my own son was born. 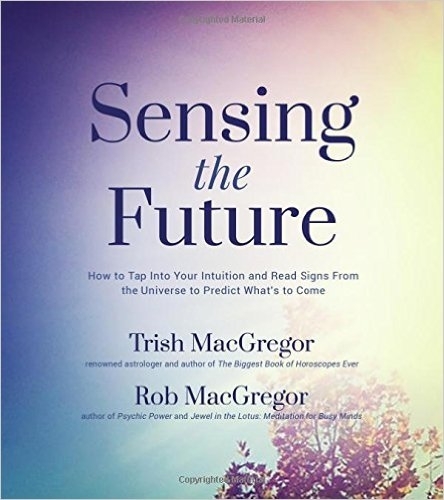 Our loved ones are always with us, we just have to become aware of the signs. Always enjoy these stories, Mike! They're powerful and do seem tobe communication from the other side. We used your wonderful white feather story in our second book. I would love it that you were right about white feathers but couldn't they simply be found by chance? I'm an undecided. i have never believed in anything like this, but i lost my mum on easter day this year and someone told me about the white fethers. i prayed for this to happen not believing for one minute it would but over the last few weeks they have been appearing i have found 2 outside my house and i have had 2 more float passed my windscreen whilst driving,it just seems to much of a co-insidence not to be true. My sister in law had just been telling us the story of finding a white feather after her mum died.I had never heard of this before but in the next three days I found three white feathers in different places.I like to think it was my dad looking down on me. i have just been on holiday to ibiza when i came back to the hotel one night there was two white feathers on the hotel doormat.when i got home there was a white feather on my poarch door mat .how did it get there or did it just blow in and me not notice it spooky. Thank you everyone for your stories and also those on the other posts about white feathers. My father passed away unexpectedly while on holidays in NZ my mother and both my sisters received white feathers within a 2 week period, I was devastated as I didn't, than 8 months and one day after dad passed my feather arrived to me while I was at work, I found it sitting on a clients bed in the nursing home I work at and no there are no feather pillows or blankets in the place. Love you dad and miss you. Thank you for your experience Lisa. I'm sure your dad was (and still is) thinking of you. My dearHusband passed away December 2010,ever since then,even a week after his passing,my grandson and i were sitting in the same place my Gene and i would sit in Church and a white fluffy feather landed between us,in the spring my son took me to a major league ball game and down came a white feather.and it goes on and on,i'm making a collection of them,just when i need a feather from gene,down it comes.In my heart i know its the Lord and my Gene saying every things alright! Thank you for your story Anonymous. "Things are alright," that must be a comforting feeling. My mum died in June 1012. I had never heard of white feathers appearing after the death of a loved one. Soon after her death white feathers have appeared. They really do seem to appear at times when I would have asked for her support. Thank you so much for your experience. I just stumbled upon your postings here, and this is ... a coincidence, or a synchronicity! My dad passed away a few years back and we all miss him terribly. My two brothers and one sister keep a close eye on our mom now that dad is gone. I just turned 50 and for my birthday my sister and mom decided we should go to New York as a "girls vacation" and I've never been there. My mom paid for the trip saying it was a birthday gift from her and my dad. The first night there we went to see a show at the famous Radio City Music Hall. One of the scenes in the show surprisingly involved a character "flying" over head and dropping of all things white feathers down on the audience. There was a problem however with the actor distributing the feather out of the bag, and they ended up coming out in a BIG CLUMP of white feathers all at one time ONLY on top of my mom, sister and myself! It was quite a scene (and a mess!). We each took a feather as a momento of that time together. My mom does stained glass and as a humorous gift presented me a singe white feather incased in a beveled glass display. Now that I read this post, I think to myself how odd was that to have happened to us as though my dad was there with us giving us a hugh clump/dump of white feathers! I'll be forwarding this post on to my sister. She'll get a big kick out of it! Thank you so much for your story - touching but at the same time has a funny side to it. My husband of thirty years passed away suddenly in December at the age of 52 of a massive heart attack. The day of his viewing a dog showed up at my house wearing a collar with a ID tag on it. As we were waiting on my front porch for the owner to come, my son and daughter saw a white feather falling from the sky out in the middle of our paster field. My son ran out and got it for me. That morning I had prayed that God give me a sign letting me know that my husband was with him. I beleave that was our sign. Since then my daughter has received three more feathers. Thanks for your experience. I hope the feathers helped you. My beautiful mum lost her battle with cancer on 11th feb 2013. I nursed her for 5 weeks and slept in the same room as her. Me and my dad were with her when she died at home in the bedroom my dad know sleeps in. Mum always said she would let me know she was near and that she would wait for me in heaven. I spend a lot of time with my dad at their home as I believe mum is there. Her ashes are there. I was upstairs in the bathroom and I held her dressing gown to my face and when I let it go a small white feather was on the floor i cried my heart out as I knew mum had sent it. The second feather was in the garden attached to my classroom as I am a teacher my mum also worked there. It was on my shoe as I looked down. My dad does not believe in the significance of a feather ive asked my mum to do something to show my dad she is here. They were together 53 years and he is heartbroken and not coping ive asked mum to help him through the heartache. Thank you so much with sharing your experience at this difficult time. I lost my only best friend a few days ago (March 24, 2013), just a week after my 45th birthday (March 17, 2013. She died at 46 because of breast cancer that was diagnosed and operated in 2011. She undergone series of medications from the time she was operated. She had chemotherapy, radiation therapy. But in January 2013, cancer cells spread to her bones. She was totally bed ridden until she gave up. I had lots of moment shared with her. I was so sad when she died. I seldom cried but my heart is filled with sadness for her leaving. One morning while my husband and i were chatting and setting a plan to visit her wake, a white feather landed in front of us. T'was a rare incident because no chicken was seen near us and we don't have one. My husband quickly said, "That is your friend. She likes white isn't it?" Me too, deep in my subconscious believed that t'was her. It was her way of letting me know she's OK now. She suffers no more. This incident made me browse the net to find stories similar to mine and to know what does white feather mean. I'm glad i found stories almost the same with mine. If truly the white feather comes from an angel, I'm so fortunate that i was chosen to be given one. I kept the feather. I'll keep it to remind me of my best friend always and believe that an angel is helping me. Thank you, Mercy, for your story. My mother inlaw passed away last week, i was talking yesterday and said please give me s sign tht your ok, so when i went.home.last night there it was 2 white feathers on the top of my outside stairs, has this been a sign ? Only you can be sure if it was a sign. But in saying that many readers say that white feathers are a sign - I have seen them myself following the loss of loved ones and believe they are. I have just came home from burying my Grandad's ashes after his funeral yesterday and as all my Grandads close family and I were standing at his grave having a couple of moments to gather our thoughts after a lovely service and looking at all the flowers a white feather dropped from no where and landed cm"s from the open grave ,everybody just looked at each other in amazement it was very serial but comforting to know my Grandad was there with us and properly with his wife ,my late Grandma aswell. I had never heard of this before untill I have looked it up online now .It has been a dark dull wet day and the feather was brilliant white and fluffy .I has amazed me and really put my mind at ease that he is ok.
My dog passed away last Thursday, rt away white feathers appear. They keep falling when ever I go outside. My dog was my best friends. I loved Jake so much it hurts so bad that he is gone. He was my buddy. The white feathers have flown a lot since thursday. I really hope when my day of judgement comes that Jake is at the gates waiting for me. My dog beloved and handsome dog Rico had to be put down suddenly 3 days ago. My heart is broken. The moment we arrived back from the vets in the car, I opened the car door and a little fluffy white feather lay in the pavement. I kept it but thought it may be a coincidence. Today I cried in the garden and looked to where he often lay, suddenly a beautiful white (tinged with grey) feather just gently fell on the mud. (even though there was a breeze blowing) My partner was so suprised and we could not work out where it came from. It was a comfort to both of us. I hope our dogs are there to meet us too. I lost my brother very recently, and very suddenly. Yesterday I was with my sister and were talking about my brother and the sense of loss etc. It was very emotional, yet at the same time comforting to be talking about him. I was standing in the garden talking to him and asked for a sign then watched as a white feather floated directly towards me from about 20 feet away. I raised my hand and the feather dropped into it. I think it was his way of letting me know everything is ok.
Would like to share this. Just this Tuesday 8th October 2013 I have lost a very important person in my life. Their death was sudden and tragic without prior warning. Sharing a coversation with my daughter who was offering me some comfort, we started talking about white feathers as a sign from the deceased. To be honest my feeling were not a 100% belief. Today following their funeral which was yesterday my view has changed. Walking my dog and on reflecting on my loss there in my infront of me lay a long pure white feather. I went over to it and picked it up. It was beautiful and with tears rolling down my face I truely believe it was a message from them. I experienced feathers all about me whenever I would pray. I prayed for my wayward son at this one point in my life. For God to help lead him on a righteous path. When my father passed away, I had the company of the priest,who officiated my father's funeral services, at my table during the luncheon after the funeral service. He asked me my name and I told him, Theresa. He told me his mother's name was Theresa and was named after St. Theresa the Little Flower. I told him that was who I was named after. He told me a story about his mother during the Vietnam War era and his brother served during that time. His mother would pray for the safekeeping of her son, and she always knew her prayers were being answered by coming across a rose. I told him about finding feathers whenever I prayed for help or guidance, and he told me that the feather was the sign of the Holy Spirit. So, not only are your prayers being answered, but they are being answered by the highest of all powers. That brought me such great comfort. I've never heard of white feathers as messages from the dead - until I read this here. But my spiritual teacher, who is now dead, has been sending me white feathers for years. He does it when I've been 'worrying' a problem and think I might have arrived at the right answer. Wow. I had never heard this before but about three years ago after my beloved cousin had taken her own life and I was writing my aunt my condolences I looked out and amongst the POURING rain saw a lone white feather ascending skyward somehow avoiding the rain. . .I had no doubt in my mind it was her. . .showing me she was at peace. Crazy. When my Spirit-filled mother went to be with the Lord in 2008, I found the hospice nurse lying prostrate on the floor having a fit! She kept repeating, "I have NEVER seen anything like that!" Just as Mama left this world the nurse said it felt like angel feathers were fluttering all around her. A few years later, we had rented her house to a family. The daughter asked me one day if my mother had a bird; I replied 'no' she was a cat lover. The girl said that they had found a feather in the Florida room. It was in the corner of the room - the exact spot where my mother's bed was located. Thank you Greg for your experience. Sorry to hear about your loss but it looks like Maxx is doing fine! What does it mean when someone has 5 glasses of water filled to the top lined around a keyboard at work, and her drawer are feathers? I lost my mum in 2007, I was with her when she passed away. a few days later there was a gorgeous white feather on my doorstep. Unsure I asked my neighbour what could it mean, and she told me I had been visited by an angel, that feather is still in my bible to this day. my dog of 12 years was put down on Saturday afternoon on Sunday morning when i open the curtains there were 10 white doves just sitting on my driveway, i believe its was him letting me know hes ok and at peace. My lovely dog Bugsy was put down 7 years ago and we randomly get white feathers. Today my beautiful dog Fergie was also put down and there was a large feather under the kitchen table just before the vet arrived. It made me smile that Bugsy was telling me she was going to look after her. SATURDAY WE WERE IN CHURCH OUR GRANDUTER WAS SITTING NEXT TO ME SHE WAS LOOKING THROUGH A BIBLE THAT HAD PICTURES IN IT SHE NUDGE MY ARM AND HANDED ME A LITTLE TINY WHITE FEATHER I ASKED HER WE'RE DID YOU GET IT SHE DIDN'T KNOW WE'RE IT CAME FROME SO AFTER LOOKING UP FOR A FUE SECONDS I STERDED LISTENING TO THE SERMON AGAIN AND FROME THE CORNER OF MY EYE I SEE ONE COMMING DOWN THAT LANDS ON MY ARM I KEPT BOOTH OF THEM GOT ME READY THINKING. Normally, I wouldn't be submitting these comments. but feel I have to share my experience with a white feather. My wife passed away three weeks ago, losing her 2yr+ battle with cancer. She was at home wih us here under hospice care, and shortly after she died I was in the room with her alone. I asked her if she would send me some kind of a sign to let me know she was OK. Two days later I went into her room and in the middle of the bed was a single white dove feather. No one else had been in the room but me, so I have to believe it was my wife communicating with me. My lovely husband passed away three weeks ago 14/3/2016. My house was cleaned through yesterday. Last night I went to get a coffee. And lying on the carpet was a large eight inch fluffy white feather all the doors had been closed. It was placed so perfectly. He did tell me he would give me a sign he would be OK.
My dad passed away suddenly on Easter Sunday 2016, then my mum had a heart attack same day from shock, my brother and i were down at the hospital and returned to their house, was really weird neither of them there, but their dog missy kept looking where he was sat, staring, we locked the main doors and i was sat down and my brother was near the fire, i said wish dad would give us a sign, that moment the door keys jangled, he looked i looked and i smiled. WE didnt tell mum as didnt want to worry her but today she rang up and said omg i found a white feather.. i went ok.. and.. she said a white feather..ok mum so what and she was so happy and she explained it to me, i went wow, so i told her what happened and that has given her great comfort.. i cant believe dad has gone but there must be a better place we go to..
My stepfather passed away years ago. He was cremated, and we had a church service for him. In the limo on the way to the cemetery, my mother was seated in the seat in front of me and had her window opened. As we drove through the cemetery to his burial plot, a white feather came twirling down from the sky, through the opened limo window and landed right in my mother's lap. My mother picked it up and threw it out the window as I gasped. I wasn't sure, and don't remember how I had heard about a feather being a sign from a loved one who had passed. I never said anything to anyone at the time because I wasn't sure. If I told anyone now, they probably wouldn't beleive me. So I just keep it between my stepfather and I. He must have wanted me to see it too. My mother passed just over a year ago. From that day I've seen white feathers on a regular basis. My 8 year old daughter she's them at times too.just yesterday came across a black one for the 1st time ! I believe these to be positive signs and keep strong. My boyfriend committed suicide,2 years ago.He shot himself in front of me.yesterday i was driving and something flew in my window,i thought it was just a bug so i shooed it out the window,and after i did,i thought that was no bug and about 5 sec later it flew in my face again and hovered for a few sec,it was a feather,the same one i shooed away.Any thoughts? yesterday i was driving and something flew in my window,i thought it was just a bug so i shooed it out the window,and after i did,i thought that was no bug and about 5 sec later it flew in my face again and hovered for a few sec,it was a feather,the same one i shooed away.my boyfriend shot himself in front of me 2 years ago,any thoughts on this? My husband died of cancer last year. The day after his death I was washing up and suddenly a tiny white feather appeared and hovered in mid air in front of my eyes for several minutes. I found it incredibly comforting and knew it was a sign that his spirit was there with me. Now I believe in Angels and I frequently see white feathers just in front of me, particularly when I am down. It's as though he is saying it's ok, I'm still here, just a bit in front of you. Then today I went to see the tree which is planted over where his ashes ar interred and then again, just in my path was a beautifully formed fluffy white feather. No other feathers around. Needless to say I picked it up and put it in my blouse pocket, over my heart. When I came home in googled white feathers and dead people and found this blog! My mum passed away last night and a large white feather fluttered over the family as we were leaving the hospital. I'd never heard of this before but my sister knew and pointed it out. It's too much of a coincidence seen by too many people not to be true.. I love you mum. Today would have been my mother's 9 7th birthday..just before the family were leaving to go and put flowers on her grave...a lovely wee white feather floated down among us. ..mum letting us know she was there...I liked the stories about the white feathers. .possibly looking for comforting signs..but one proved it for me...I was going for a big operation and was a bit nervous ofcourse. .my mum had passed away 2yrs before this...I was sitting waiting for the trolly to take me to the theatre when the orderly walked in then said I guess that's for you..and on the empty chair beside me was a beautiful white feather...this was a closed room no windows...I felt so good and when I was recovering a nurse said you have a gift in your drawer...the orderly put the feather in a plastic case and gave it up to the ward....a sure sign from your loved one. It could well be - all good wishes to your new granddaughter. My father 94yrs old passed in January. I found a whire feather by my car door I found one on a bush at my house. I found one on a shirt in a clothing store. I bought a new car and there was one in the lobby. My cat is dying and I asked my dad to show a sign. I was sitting outside and looked up in the sky and a white feather was floating over my house in the wind. The white feathers appear when I really need my dad with me. My husband passed 4.5 years ago from a multitude of cancers through his body. I have always believed in spirits, and have felt his presence often in the house. He had a thing about ceiling fans, which I was never fond of. Since his passing, I find fans on in rooms I seldom go into, other than to clean. Since his passing, I have installed cameras in different rooms of the house, and the other night, one of the alarms went off on my phone that there was activity in the family room. I felt it was odd, as all the cats and dogs were in my room as I was getting ready for bed. So, I looked at the video on my phone, and saw a feather floating throughout the family room. (which by the way was his favorite room in the house). I was not alarmed by this, but actually felt very peaceful. The next day, I was in the room, and the dog and cats were looking all over the room, and the dog was actually looking at the camera and where he used to sit. I was just surprised that it took him this long to show me any signs. It would have been my dog, Ellie's 18th birthday today so I took her ashes in a box and her coat with me to one of the places by a river where I regularly used to sit on a bench by her and say a quiet prayer. Today I said a prayer to say thank you for all the wonderful years my family and I shared with Ellie. As I was putting Ellie's box back into my rucksack I noticed a soft white feather lying exactly by the place where Ellie used to sit with me by the bench. I believe it was a sign that Ellie is still with me. I lost my husband 10 years ago when I moved back England I was sitting outside and were 20 white moths flying over me. 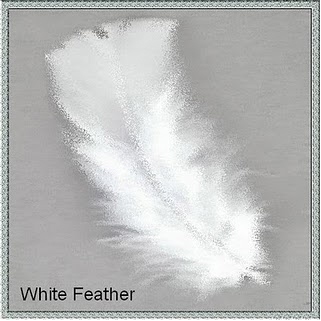 yesterday 2 people came to see my house when she looked down in the lounge therewas a white featherwhat does this mean?